This week, we are picking up part two of our discussion on email marketing for international student recruitment. If you haven’t done so already, you can read part one here. There is so much discussion around whether email is ‘dying’ and whether it is even a viable channel for student recruitment marketing. Our answer is an unwavering yes - until something else supplants it. But that hasn't actually happened yet, despite the yammering. It's all about where and how you use this channel to influence the student decision-making. A strategic approach is important and knowing when and where to use email is essential. What we know: don't use email marketing lists as your first touch. An important reminder: We'll be presenting about all this stuff at the NAFSA conference in May in DC along side Hillary Dostal from Northeastern University. Check out the link below to our session and hit the like and favorite icons if you'll be joining us! You'll get an inside look at some of our latest research. 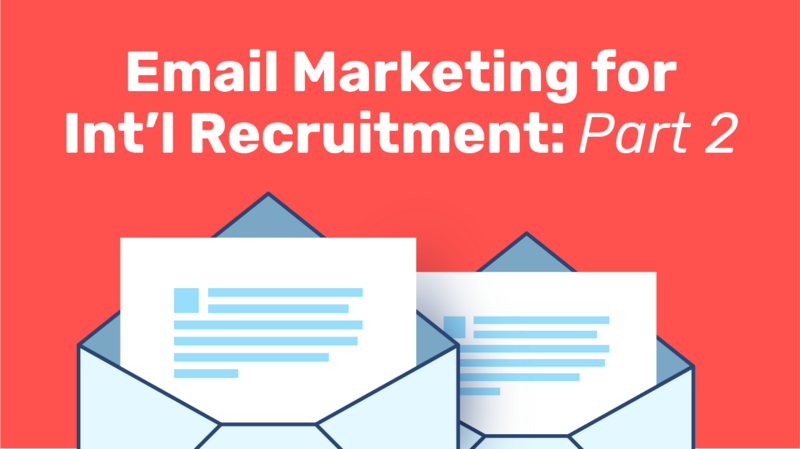 The email marketing that we conduct and recommend is not “first touch” marketing through list purchases and email blasts, but rather, nurturing campaigns to draw existing leads down through your recruitment funnel. Once built, a carefully crafted and automated email nurturing campaign can move leads to the point of application, without placing additional burdens on your admissions team. They have enough to do, right? 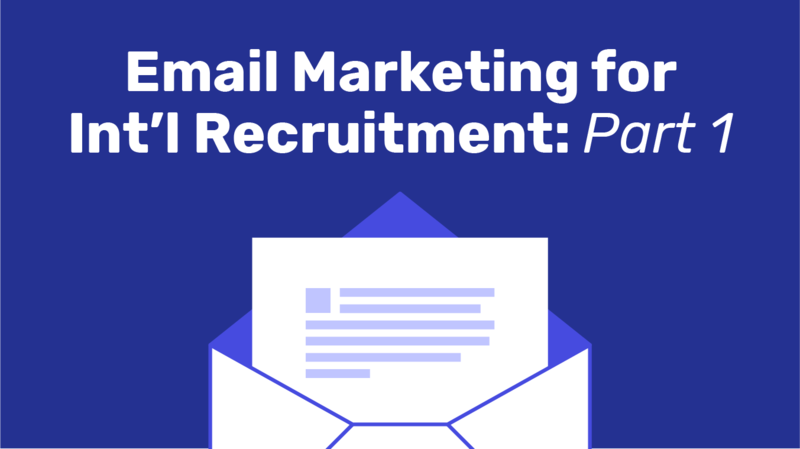 Let’s jump into how you can implement an effective student recruitment email marketing strategy. Whether you refer to it as a series of engagement streams, workflows or nurturing campaigns, we all know that email is still one of the key channels to stay connected with prospective students throughout their decision-making process. If they have demonstrated interest in you, they will read your emails. And the opposite is also true: If they have not demonstrated interest in you, they will not read your emails. With our client work, we focus on the quality of the leads over the quantity. You should too. Important Note: If you are reading this blog when delivered, this morning is the last chance to register for our Intead Plus Webinar: Artificial Intelligence for Higher Ed Explained. March 28 at 1pm EDT. Ben and Ashish Fernando, CEO of iSchoolConnect, will discuss online behavior and technology trends, as well as case studies that will help you understand the role AI can play in optimizing student recruitment and retention. Intead Plus subscribers will have exclusive access to the webinar recording after the fact (so you can share it with colleagues who are unable to attend). But let's get back to email marketing. If you’re like many academic institutions, you may have long standing email workflows with hundreds of automated emails structured to go out to unique audiences on a weekly basis. Many other admissions teams do not have the resources to establish this system. Either way, maybe it’s time to ask: could your email marketing program use a refresh? We’re betting the answer is yes. If that seems insurmountable, bear with us. We will be giving some quick tips throughout that you can use to make some small, effective changes to your current workflows. You can move beyond having just one or two email nurturing campaigns that go out to everyone, regardless of their interests or geographic location. You can segment your audience effectively. Email marketing at the institutional level can be complex, to say the least. But this week we will help you break it down into a few key principles that will help you write (or edit) emails quickly and efficiently, while ensuring that the content will stand a strong chance of resonating with your desired audience. OK, let's stay focused people! So there are a few bad eggs out there doing admissions really, really wrong. You are not doing it wrong. We are not doing it wrong. We've got work to do, so let's ignore the headlines and get back to doing our jobs. 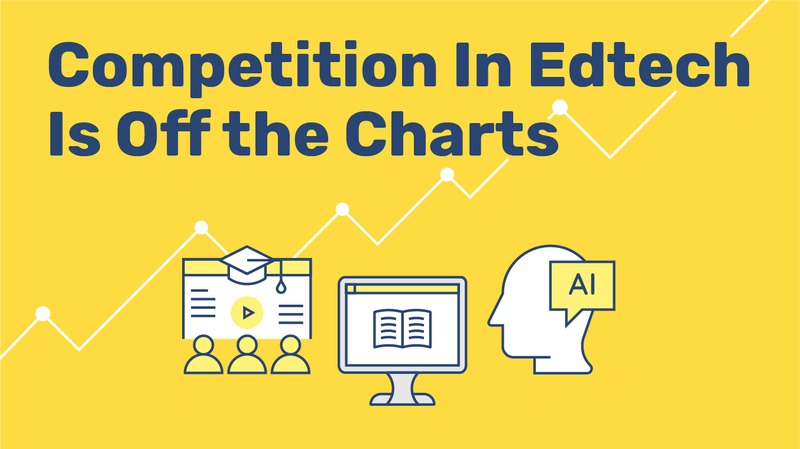 Just a few weeks back, we wrote about the growth and growing competition in the world of “edtech:” a broad term for the array of technologies designed to enhance learning, streamline the administration of educational programs, and improve student outcomes (find the post HERE). Current thinking divides the area of edtech into 8 segments and we will be discussing each of them in more depth this year. Our next Can't Miss Event is a webinar on Artificial Intelligence and its relationship to Machine Learning and Predictive Modeling. What does all this mean for international and domestic student recruitment and retention? 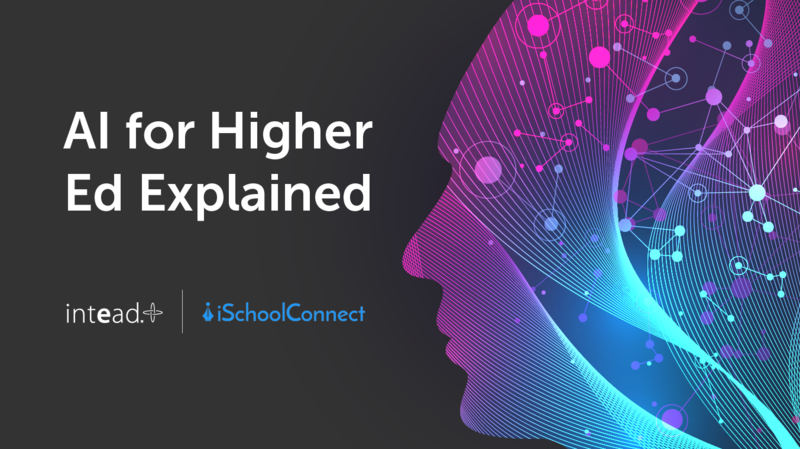 Join Ben and Ashish Fernando, CEO of iSchoolConnect for an exclusive Intead Plus webinar on March 28 at 1 PM EDT: Artificial Intelligence for Higher Ed Explained. We’ll be sharing valuable data about online behavior and technology trends, as well as case studies that will help you understand the role AI can play in optimizing your own student recruitment and retention plans. Let's put it this way: It's a heck of a lot more than filtered lists and chat bots. And we are afraid that many others in the field are not thinking broadly enough about how this all works and what it truly involved. And of course, the consideration of what is affordable for the value. Join us live—or if you can’t make it, heads up that Intead Plus subscribers will have exclusive access to the webinar recording (trust us: this is one you’ll want to refer back to and share with colleagues). In our blog today, we are not about artificial intelligence. Instead we are focusing on edtech’s potential for better connecting students to resources and each other. Ensuring that students can easily connect with enriching materials and their fellow learners is a pretty basic goal of every educational institution...and yet, one that can be surprisingly difficult to do efficiently and well. And while technology can’t solve every problem...it sure can help a lot. Read on for our review of 2 primary buckets of helpful edtech tools: learning management and social learning. What do these terms mean? How can they be helpful? And if your institution is already using these kinds of edtech tools, how can you know if they’re working? Working in a recruitment office, we’re willing to bet that you have more on your plate than you can handle. But that’s par for the course, right? We know it can be difficult to find the time to take advantage of all of the opportunities in front of you. This week, we want to give you a quick overview of two targeted marketing concept that can have a positive impact on your international recruitment initiatives – and how you can make the most of the opportunities they present. 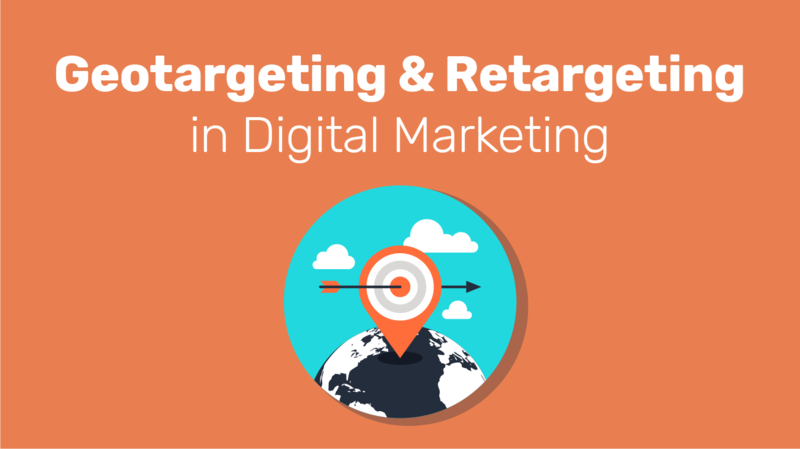 It is likely that your institution already employs some form of geotargeting and retargeting in your online advertising campaigns, but how can you ensure that it’s being done effectively for international recruitment? Let’s dig into these terms and how you can use your audience segmentation to strengthen your approach. Every time we turn around there is another set of edtech companies showing off their wares. At NACAC, NAFSA and the American Marketing Association’s Higher Ed Group, everyone has a tech solution. We’ve been watching the rise of edtech and loving the growth and the disruption. From offering new ways of delivering educational content to how we confirm that students are absorbing that content, there are beautiful things happening. And the data being collected is going to help us all improve our education outcomes. There are more than 15,000 companies in some form of edtech position. And by some estimates more than $50B (likely more) has been invested in making them grow. Some of the names are familiar to you and some are new to all of us. But everything is not rosy here. All too often, the marketing for these companies shout out “Artificial Intelligence” and “Predictive Modeling,” when they are anything but “intelligent” or “predictive.” If you scratch the surface when you meet them at a conference, you’ll find that their “predictive modeling” is simply filtering their list purchases in sophisticated ways. We're thinking their marketing pitch might be better termed “Artificial Modeling.” To wit, they are selling stuff with no substance. Intead will be doing a series of posts and webinars with industry leaders addressing edtech in the coming year. We’re excited to shine a light on those that are doing incredible things. As always, our Intead Plus members will get the best stuff from us. Please read on for a nice summary of the wonderful ways edtech will transform the classroom, our employees, and our lives in the years to come. Before we even had our coffee this morning, members of the Intead team had already texted with spouses about children’s forgotten school lunches, communicated with dog walkers on Facebook messenger, and answered Slack messages from each other. Something tells me your morning didn’t look all that different from ours. We are living in an era of instant communication. We have come to expect that we’ll be able to reach folks quickly and get the info we need wherever and whenever we want to. 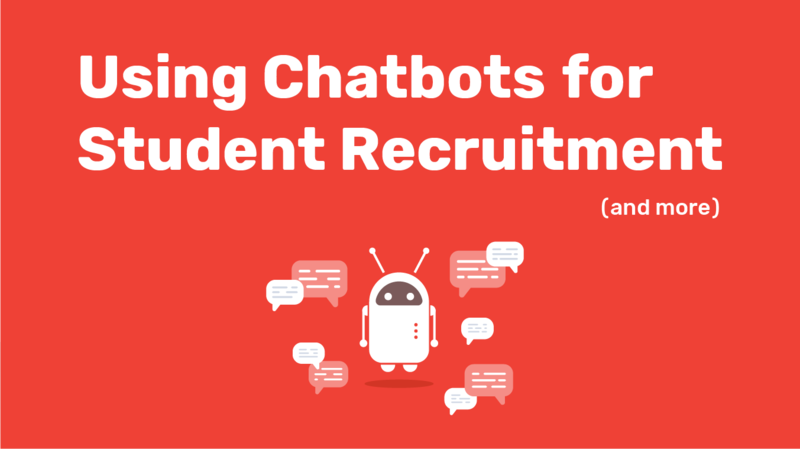 So, it’s no wonder that we’re seeing the rise of “conversational marketing”—and that your prospective students expect you to keep up with the times. Conversational marketing is “feedback driven” marketing that relies on artificial intelligence, or bots, to communicate with consumers—or in our case, students. Here's the important question: Will your institution be at the forefront? A fast follower? Or trying desperately to catch up? How about a FREE PASS to our next Intead Plus webinar? Wed, Nov 7th at 11AM EST we will have an important discussion: "What's a Muslim Student to Think?" with our friend and guest speaker Wajahat Ali whom I was first introduced to at the 2015 AIEA conference when he keynoted the luncheon. As a blog subscriber, we want you to experience the value of subscribing to our newest service. Please join us for the webinar as our guest. And we would be remiss to not mention the AIRC conference and our full-day workshop on all things international student recruiting. December 5 in Weston, FL. Join veteran recruiters and marketers and hone your marketing plan using our worksheets. Get the scoop here. The following post has been updated from an article published on ICEF Monitor on September 5, 2014. It was originally co-authored by Michael Waxman-Lenz, co-founder of Intead, and Jiangyinan Zhai, a graduate student of integrated marketing at New York University. It has since been heavily revised and updated for 2018 by Intead's very own Wanhua (Jenny) Yuan, Digital Analyst; Cathryn Andrews, Marketing Communications Manager; and Ben Waxman, CEO. Is your admissions department challenged with social media and digital media management? It’s no wonder with new sites, platforms, and new channels coming up all the time. Approaching the Chinese student market is a challenge – there is no doubt about it. The Chinese digital world essentially exists in it's own self-contained environment, limiting or forbidding access to many western sites and operating an entirely unique set of platforms. Where to begin? We would like to give you a number of practical pointers to enhance your knowledge and your management of the digital footprint of your university or high school in China. Special Notes: This month Intead releases our latest research report, in partnership with Vericant: What's on the Mind's of Chinese Parents? A Research Report for U.S. Admissions Professionals on the Factors Swaying Academic Decision-Making. This post will include excerpts from the report detailing websites that Chinese parents indicate have been influential in their academic decision-making process. 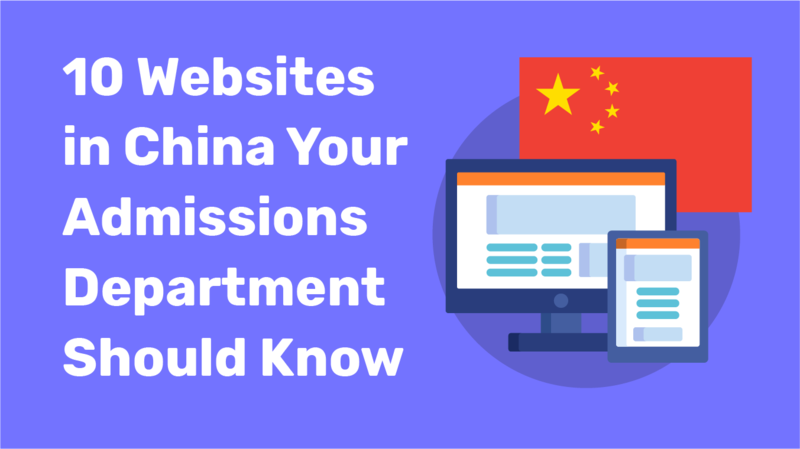 To learn more about these sites and how you can use them to promote your institution in China, you can download the full report as part of an Intead Plus membership. So much value. So little cost. Ben and Patricia look forward to catching up with many of you and your colleagues at NACAC in Salt Lake City next week. Get in touch so we can tell you more about our latest research and learning (info@intead.com). Have you heard all the buzz about all the latest tech solutions in international recruitment? Honestly, we'd be shocked if you hadn't – the buzz seems to be everywhere. 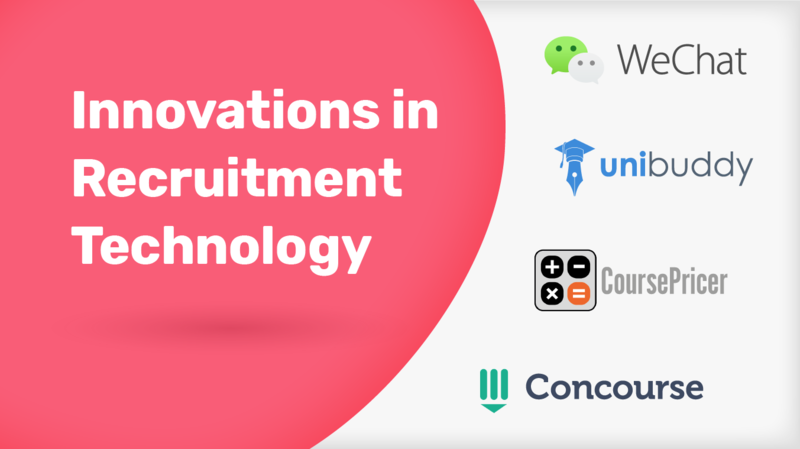 This week we're taking a look at emerging trends in recruitment technologies (starting with a quick look at critical changes to the WeChat platform). PIE News recently released the nominees for the PIEoneer of the Year award for Digital Innovation in technology and we wanted to call attention to a couple of our favorite nominees – as well as a couple of other recent innovations. As you look critically at each of the tools we are considering this week, you'll want to ask, "How well would my internal team adopt this technology? How would my target audience respond?" All tech solutions must work in concert with your institution's unique marketing strategy and key messages and then there's the human factor. If your messaging and your processes are not well developed – that's where you start. 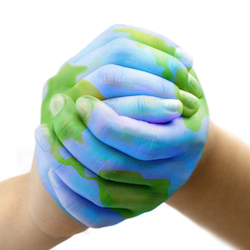 We can help (info@intead.com). It's important to note: we're not in the business of promoting or selling any of these tools. We are simply keeping our ear to the ground and listening for emerging trends in the market. And right now, a number of interesting technology solutions seem to be springing up! 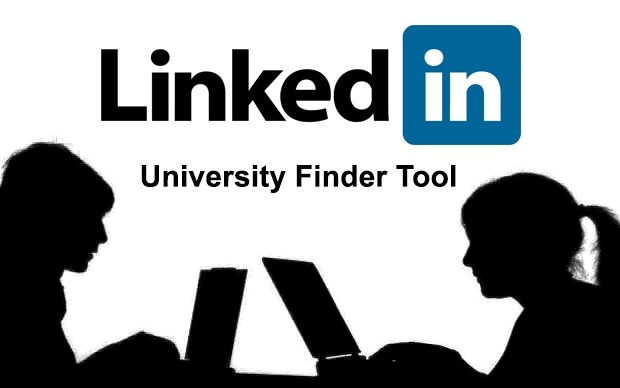 In last week's post, we gave you an international student's user perspective of LinkedIn’s University Finder tool (thank you for all the positive feedback by the way). For those of you wanting more digital marketing perspective... Join us in Miami at the ICEF pre-conference Global Marketing Seminar for Education Institutions. We hope to see you there. This week, we check back in with our international marine engineer, Steven, to see what is driving his decisions about graduate study. Steven is looking for international and US universities with a master’s program in engineering and project management. His LinkedIn search yielded an intriguing list of institutions. In this post, we share Steven’s thoughts on the functionality of the tool and the effectiveness of the universities’ LinkedIn pages that he visited. Bottom Line: International students seeking to study abroad have far too many choices and need tools like LinkedIn to narrow the field and focus their decision making. Your institution needs to be represented well here to take advantage of the free marketing LinkedIn is providing. Little known universities stand to gain the most.